The truth about who is a patriot or traitor. Robert S. Lasnik is a traitor. 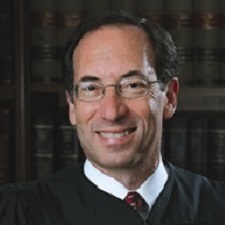 Robert S. Lasnik is a treasonous Senior United States District Judge of the United States District Court for the Western District of Washington. U.S. District Judge Robert Lasnik on Tuesday (July 31, 2018) blocked the imminent release of blueprints for 3-D printed guns, hours before they were set to hit the internet. The decision blocked a settlement President Donald Trump’s administration had reached with the Texas-based company, which planned to put files online on Wednesday. Eight states and the District of Columbia on Monday filed a lawsuit to fight a June settlement between the federal government and Defense Distributed allowing the Texas-based company to legally publish its designs. Judge Robert Lasnik is clearly a traitor, for he has no legal authority to issue such an unlawful court order in violation to the First and Second Amendments of the United States Constitution. Despite Judge Robert Lasnik’s treasonous ruling, NBC News reported on Code Is Free Speech, a coalition of five West Coast gun rights groups, posted the plans, claiming the publication was protected on First Amendment free speech grounds. Plastic guns are created in the same manner as anything that is printed in 3-D: The machine stacks layers of material to form an object. But guns made by 3-D printers have a particular risk factor — they’re untraceable. In June 2018, Wilson came to a settlement with the Trump administration that implied he would be able to post his plans, according to The Verge. According to the Orlando Sentinel, Senator Bill Nelson (D-FL) tried to pass last-minute legislation blocking the publication, saying, “American national security is going to be irreversibly weakened because of the actions of the administration.” His effort was blocked by Senator Mike Lee (R-UT), who raised First Amendment concerns, according to the Sentinel. A lawyer for Wilson criticized the restraining order as a violation of his First Amendment rights. According to NBC News, Defense Distributed was not responsible for the publication and had agreed not to post the documents, pending court rulings. Addison Mitchell “Mitch” McConnell, Jr. The FBI along with the other divisions of the U.S. Department of Justice are Treasonous and Corrupt . . .
CLICK HERE to read how the FBI operates like a Gestapo Secret Police Force. CLICK HERE to read about the FBI’s reign of terror as a secret police force. CLICK HERE for a short history lesson on how the FBI is treasonous and corrupt. CLICK HERE for ten examples that prove the FBI is treasonous and corrupt. CLICK HERE for more information about the FBI – Federal Bureau of Investigation. Definition Of Treason. . . Here is the definition of treason from Merriam-Webster. The most respected dictionary in America. This is one of the legal statute’s that could be used to arrest and prosecute the traitors among us.